The season of wedding has begun! And since summertime is fast approaching, a lot of couples prefer to get married overseas, near the beach, or just somewhere far and unfamiliar. 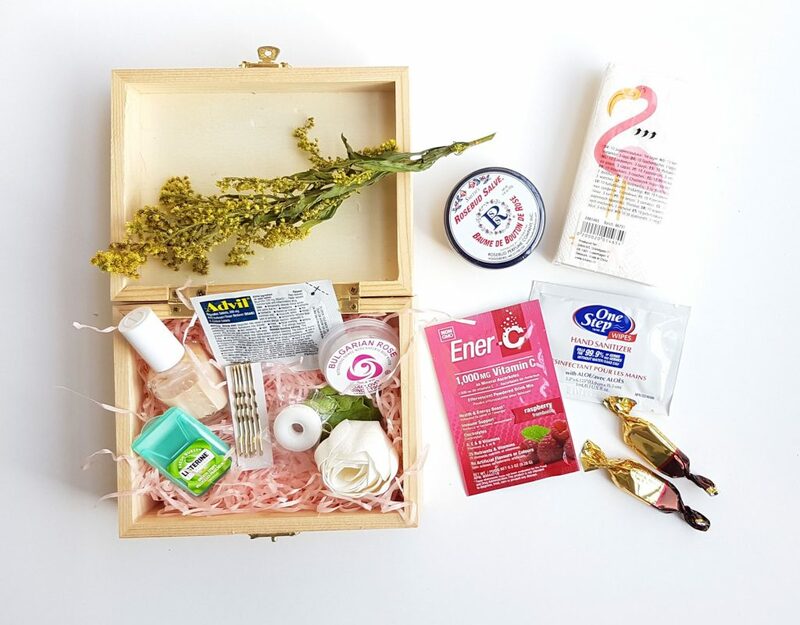 Most brides and grooms take care of their out-of-town guests by providing a welcome bag that will refresh and help them get through a day of traveling and recover from a jet lag. 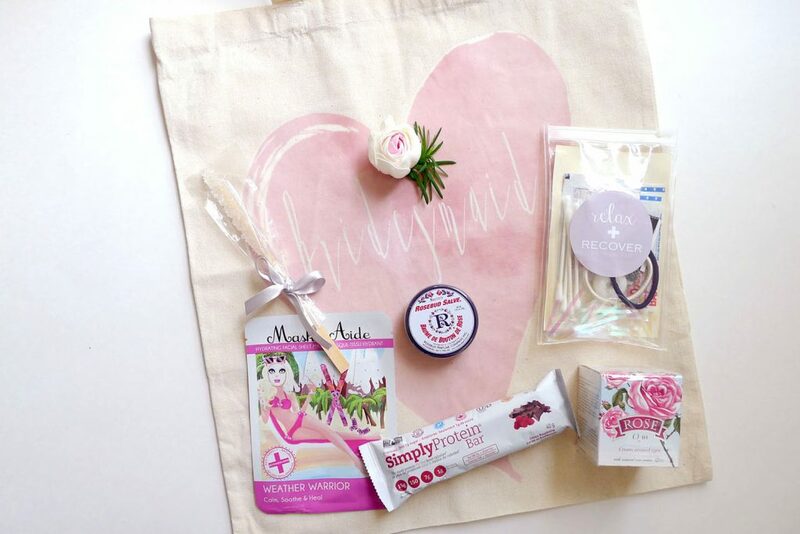 Here are some ideas on what to include in your wedding survival kit from Jules & Joy. Pack a drink, some small snacks like protein bars, and candy for your entourage and guests who are visiting from overseas. 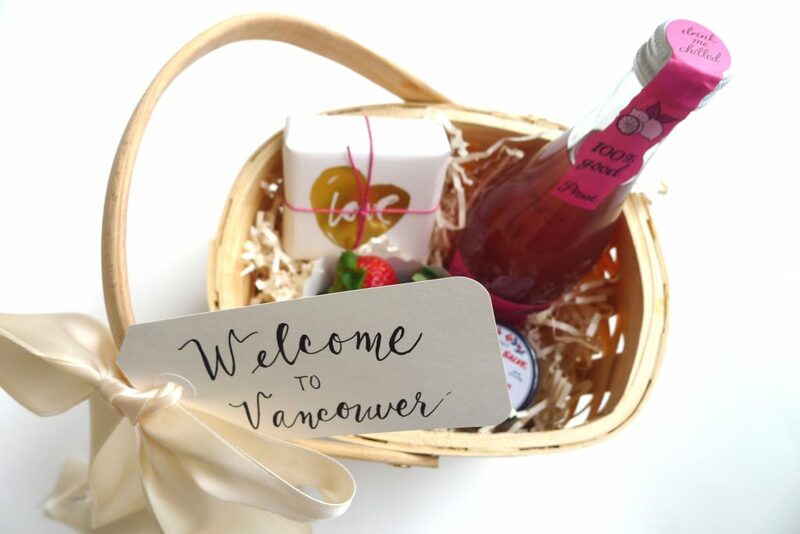 Include a small handwritten thank-you or welcome note to show how you appreciate their effort of traveling just to be at your wedding. 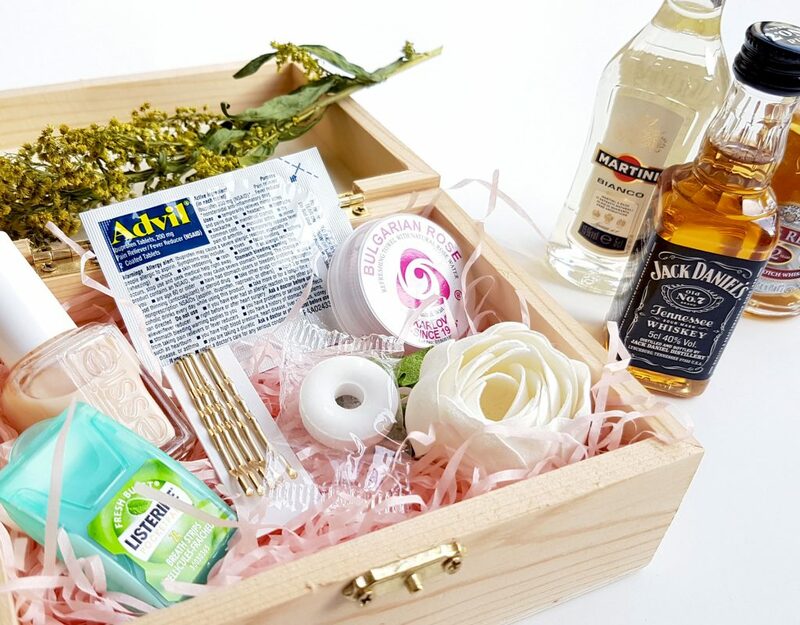 Treat your groomsmen and bridesmaids extra special by giving them emergency/hangover kits. Weddings always come with plenty of food and booze. Get your squad to celebrate without all the hassle and well prepared for possible next-day hangover. 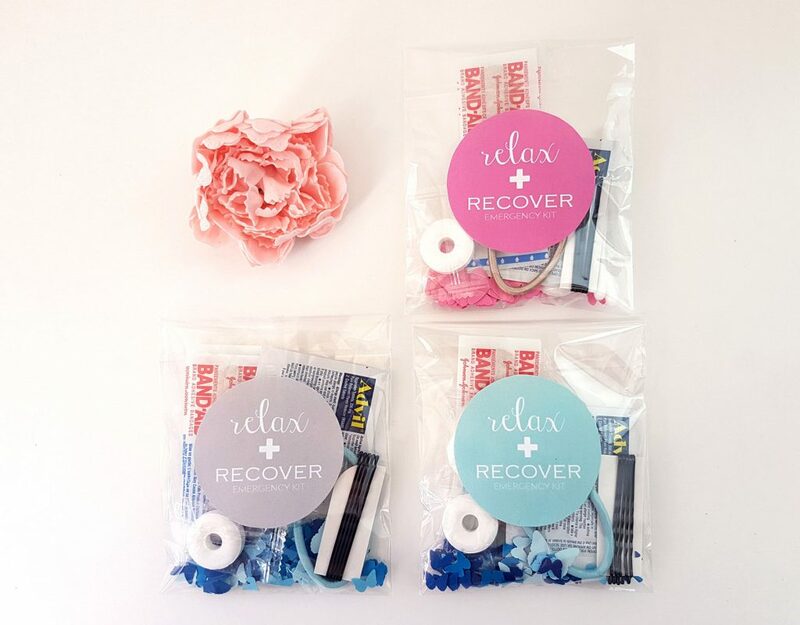 Include antacid and headache pills, mints, wet wipes, and safety pins to ease all uncomfortable situations. 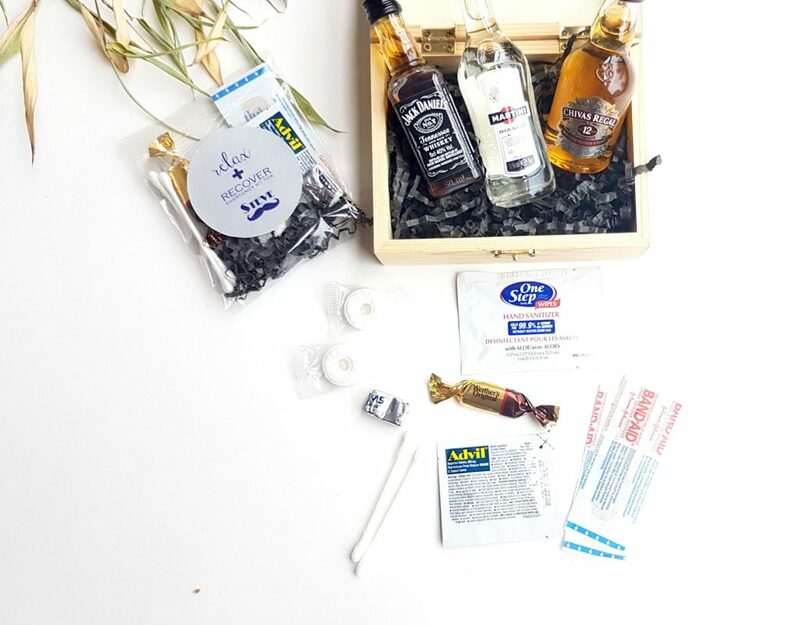 Jules & Joy can put together your guests or bridesmaids and groomsmen’s hangover kits, which include personalized labels based on your wedding colours and theme.